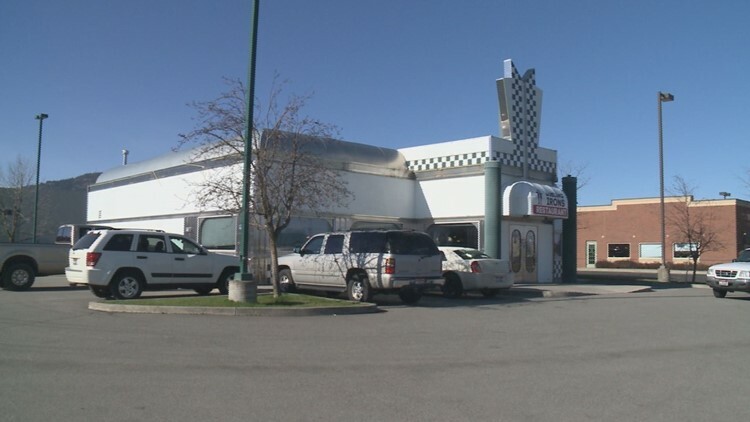 POST FALLS, Idaho — To both servers, cooks, and customers alike, Dan Rankin's almost daily appearance at Dueling Iron's restaurant in Post Falls could be considered a ritual. 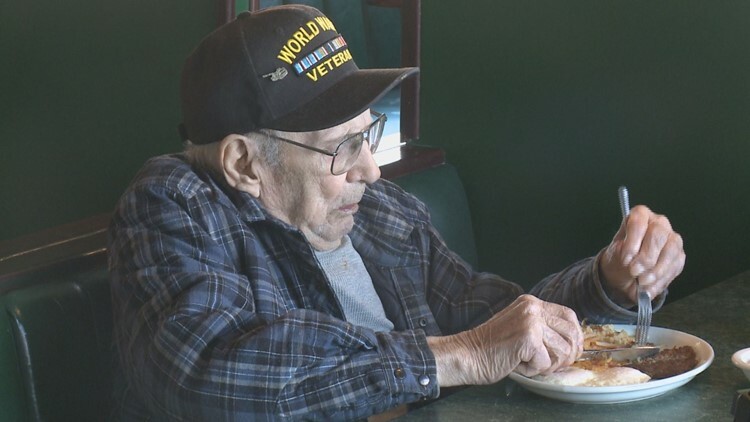 For the last three to four years, staff say the 95-year-old has arrived at the restaurant between eight and ten in the morning, sat in roughly the same spot, and ordered a classic American breakfast of sausage, hash browns, eggs, and toast. And during that time, Rankin, a World War II veteran, has had generous and typically anonymous diners pay for his meals. According to staff at Dueling Irons, paying for Rankin's breakfast has become somewhat of a tradition among regulars. Restaurant manager Maria Baker says that "for years" there has been a list of customers waiting to pay for Rankin. The generosity has grown so much, that Rankin keeps a tab and updates it when another diner steps in. "Right now I have $175 on it," said Baker. "They're appreciative of my service," said a humble Rankin of the gesture on Tuesday morning, waiting for his breakfast to be served. "It makes you feel like you're a little bit known." It's evident at Dueling Irons that many are happy to know Rankin and his backstory. The former mechanic served in Europe under General George S. Patton, landing in Europe on the heels of the Normandy Invasion. Rankin worked as a "tank retriever" and spent time attending to battle-hardened Army tanks. "We tried to repair the tanks when the Germans got done shooting them," the veteran said. Rankin's time in the war took him deep into Nazi Germany, including stops at newly-liberated concentration camps. "We have a lot of stories to tell," he said. "We went through a lot of battles going all the way across France and Germany." After the war, Rankin, a Newport native, settled back in the Inland Northwest and worked as a mechanic and truck driver. Last week, the story of Rankin's service and the subsequent generosity of Dueling Irons' customers was shared across Facebook following a post to the local popular Facebook group "North Idaho Life." Baker says people from outside of the state who heard of Rankin's story have called and offered to purchase his meals, too. "We've gotten calls from Florida, people putting money on it. It's been crazy," she said. "He's such a great guy. It's so heartwarming to know that people care about him and love him just as much as we do." "I guess it makes you feel like you're recognized," said Rankin of the support. "[The servers] come and ask me 'Are you ready to eat?' If I say yes, [they ask] 'what do you want? The usual?'" he said, smiling about the tradition. Rankin, who was dining with a friend on Tuesday, made it clear he was thankful for the generosity. But for the 95-year-old World War II veteran, the chance to enjoy simple conversation and a classic American breakfast among friends seemed to indicate that he wouldn't be searching for a new breakfast spot anytime soon.